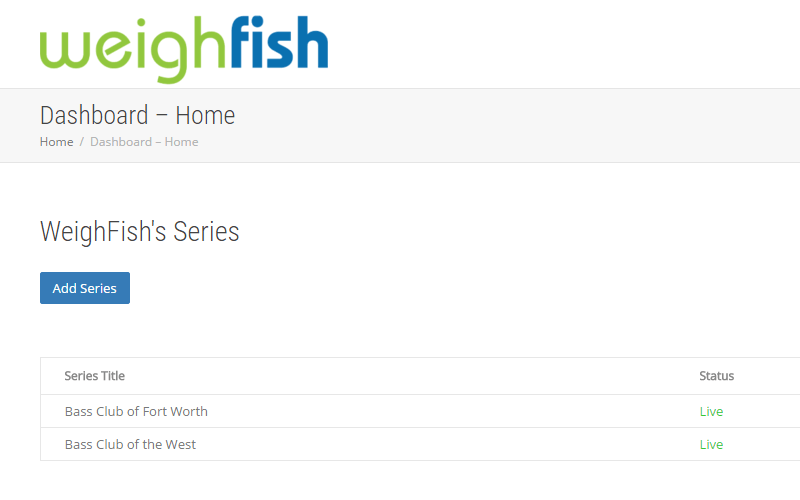 Weighfish is an online fishing tournament results portal. Working with Weighfish tournament results is simple. You have full control of the information displayed and your results. Create all the tournaments you are planning for the season and add the results afterward or create them as your season progresses. The Tournament Director for the tournament you are fishing needs to hear about weighfish first. After they sign up, they can publish the results of previous and future tournaments. Let them know it’s free, easy, and designed to help tournament directors get the word out. 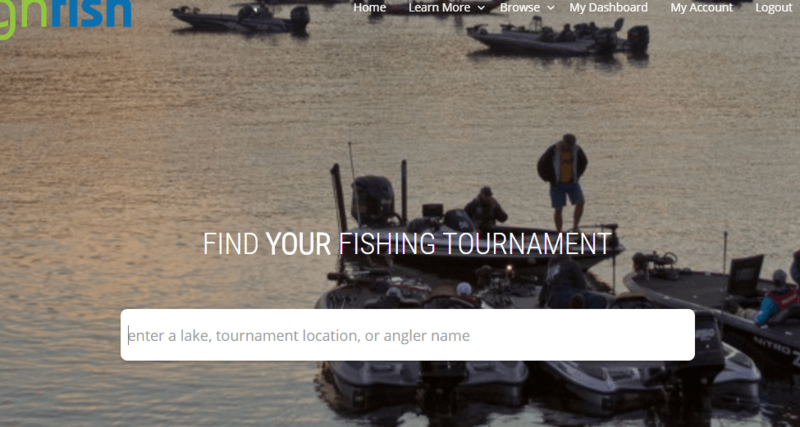 From the weighfish homepage, find your tournament using the search by entering the tournament name, lake, city, or any competitor’s name. If you are just browsing, check out recently completed tournaments to see the latest results from around the country. See your Tournament Series that contains all the Tournaments together and check out the individual Tournament results in a convenient, easy to read format. Search for your own name. 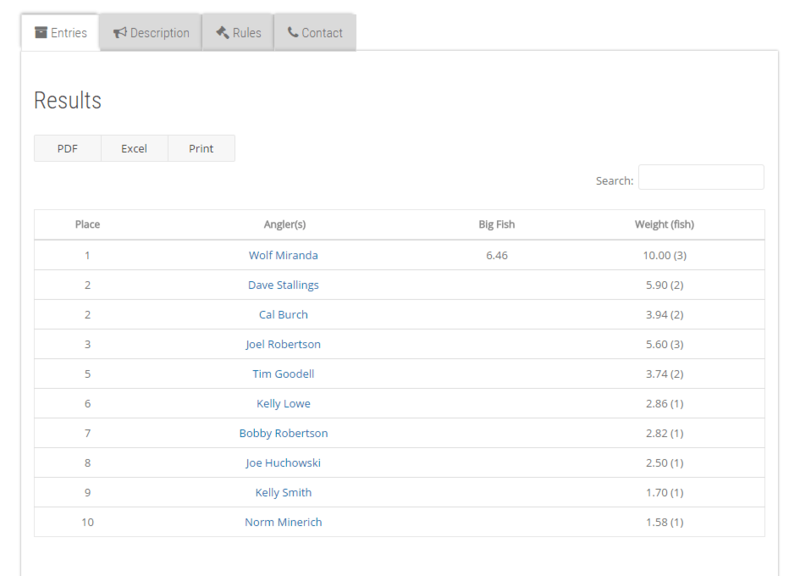 Click on other competitor’s names to see other tournament they have fished that are published on weighfish. 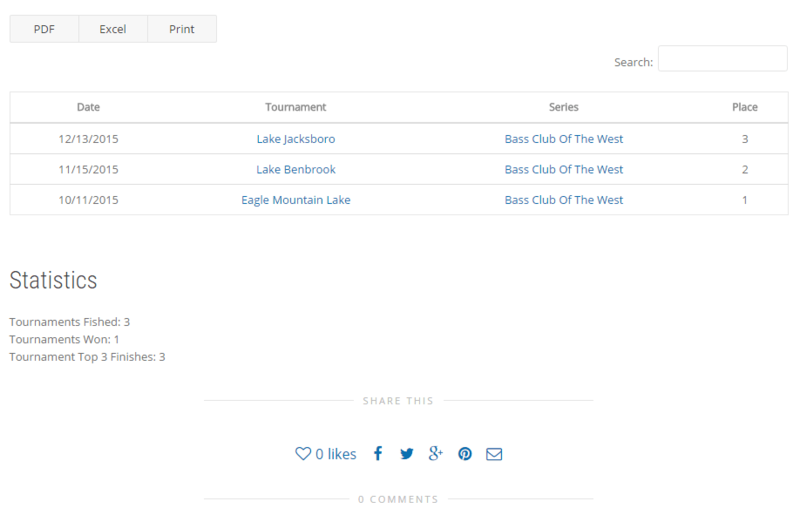 View the results of all the Tournaments you have fished on a single page. That’s how it works in a nut shell. If you have further questions, feel free to contact us via email from the Contact Page.